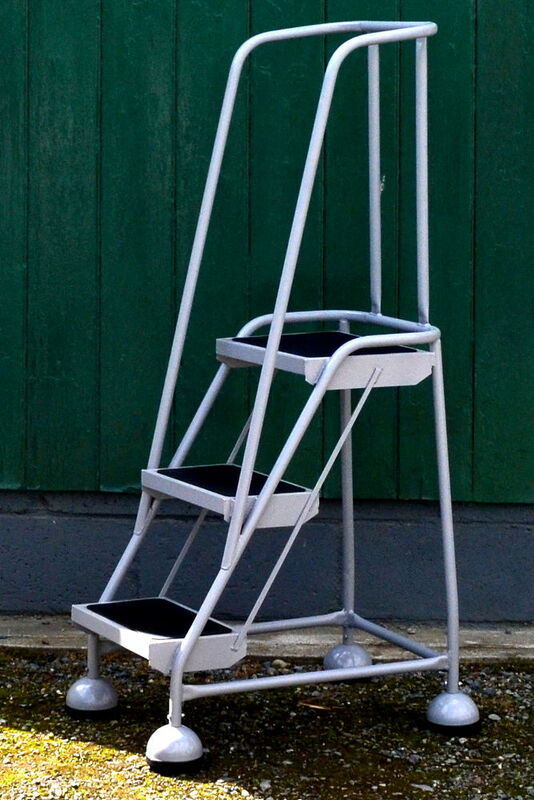 This rolling ladders range is available from 2 treads to 5 treads and is ideal for office environments. 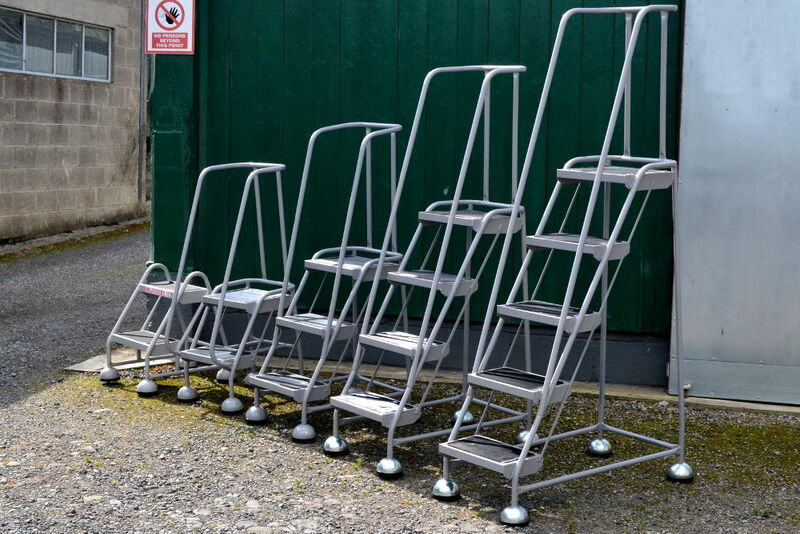 These ladder types are not intended for heavy duty warehouse applications. 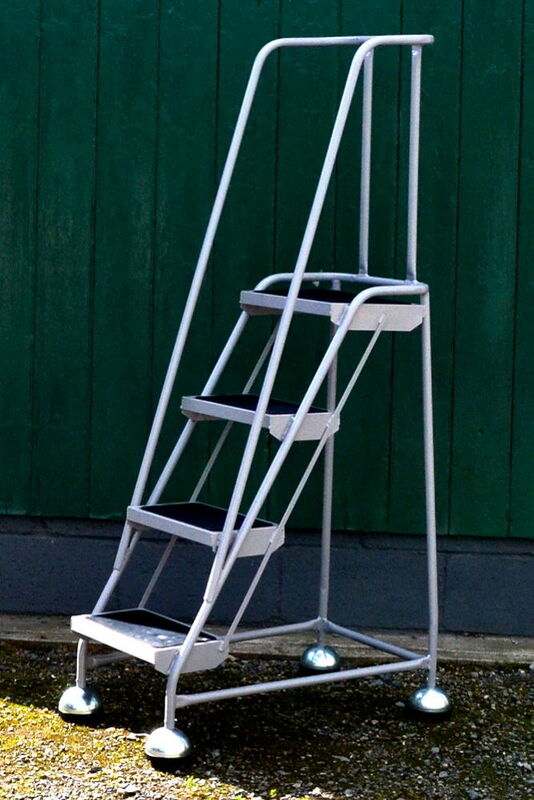 The ladder is manufactured in tubular steel with long handrails and guardrails around the top step. 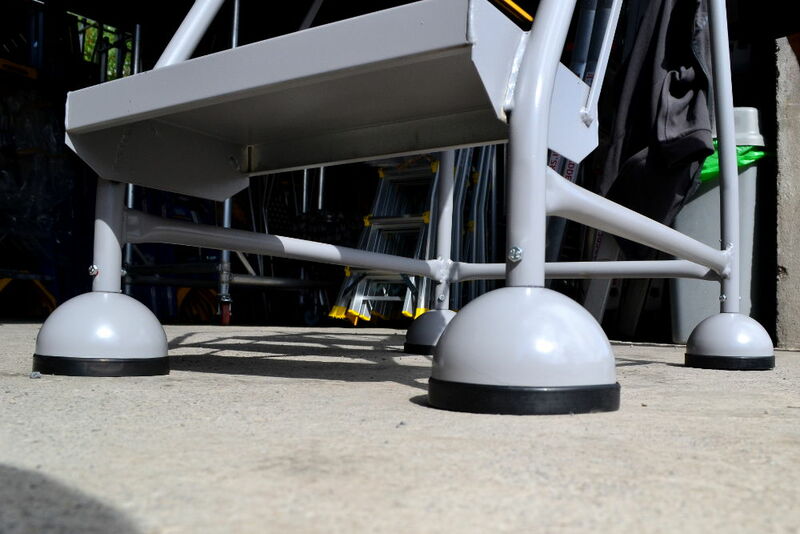 Each step is covered with a non-slip rubber mat. 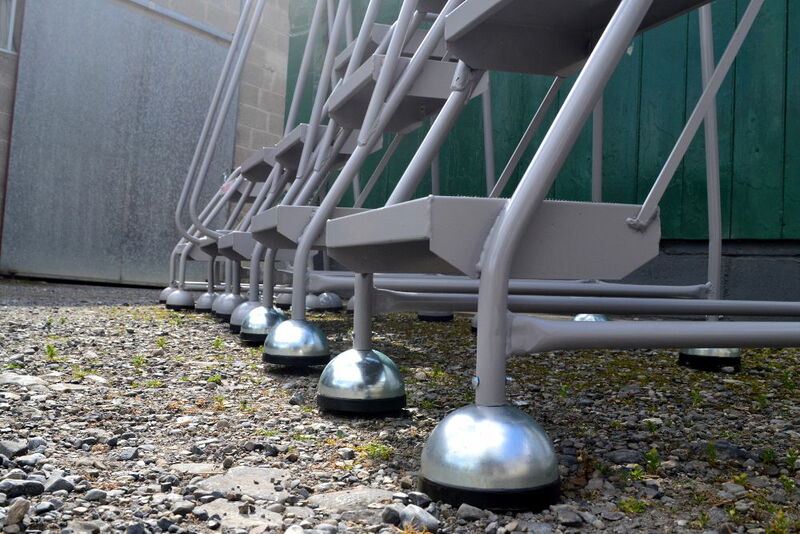 They are fitted with sprung castors which lock and hold when weight is applied and have a small turning circle which make them ideal for confined areas. 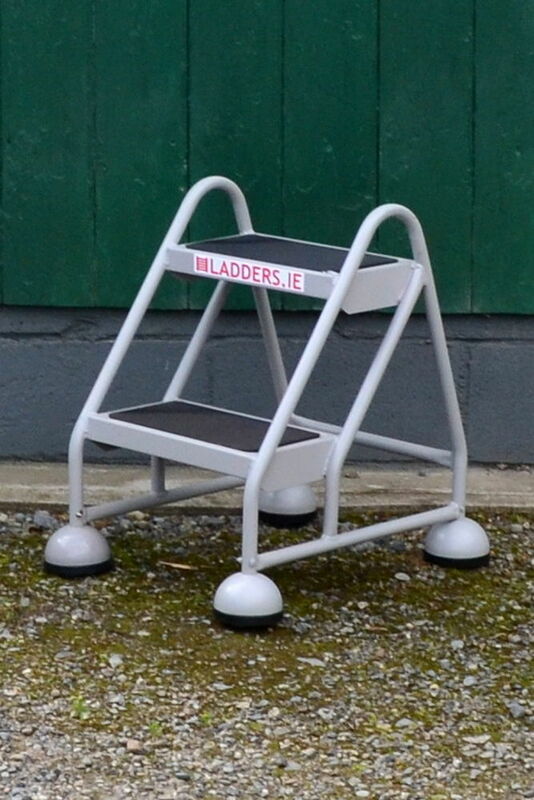 The Stepmobile is a welded product, as such, it cannot be certified. 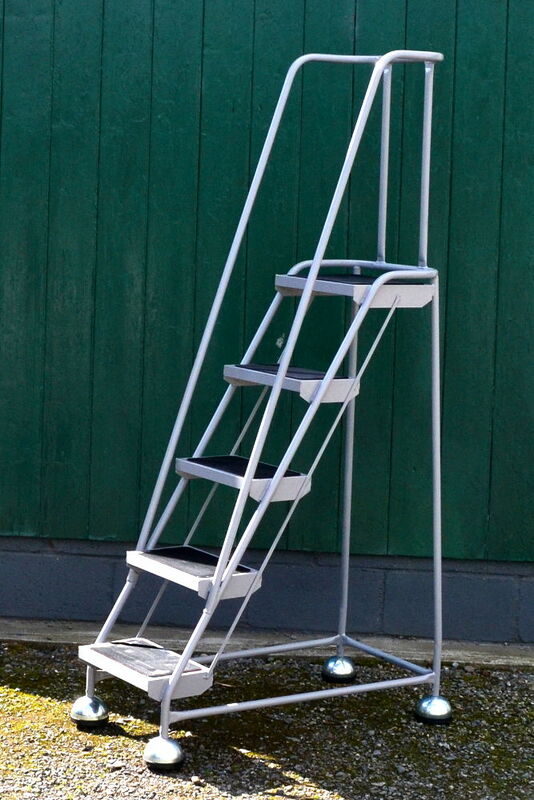 In EU Law this is treated as a machine not a ladder. 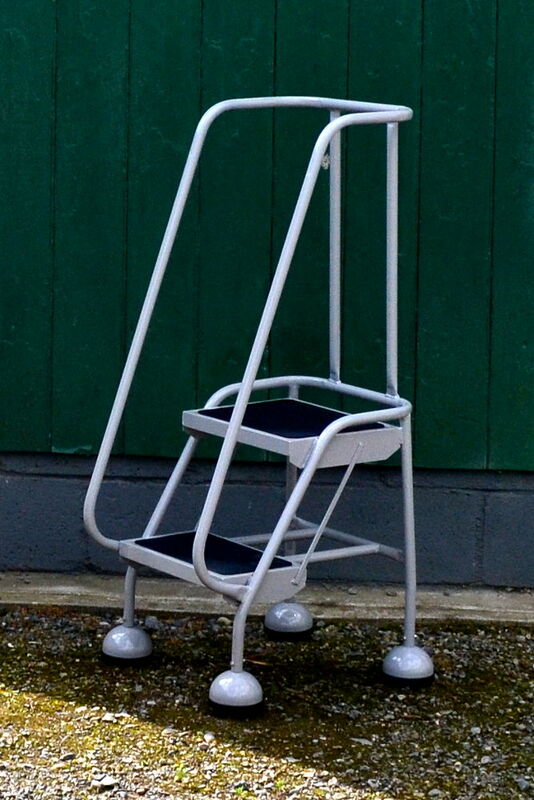 Colour: Grey, other colours are available on special request.